He was the last active player from coach Rob Pallin’s 2001-2002 AA Las Vegas Mustangs midget major team which was the first Las Vegas team to play in the U.S. Nationals. Adam was left wing on the ‘Red Line’ which was centered by mega goal scorer Josh Jasek and with Eddie Samuels on the right side. Adam, now 31, was a star player with the BCHL Victoria Salsa, a captain in his senior year with University of Fairbanks-Alaska and played professionally with the ECHL Bakersfield Condors, several other teams in Austria and Croatia and then closed out his career last winter with Vienna Capitals in Italy. It was with Vienna in early winter last season when Adam was checked hard. His back stiffened and there was a shooting pain down a leg. He took time off, tried to return but the pain was very intense and he was sidelined with the first serious injury of his career. He grew up in Las Vegas as a star teenage roller player and was nicknamed ‘Stick.’ He played for high-powered Larry Sanford-coached travel roller teams. It was Larry who encouraged Adam to play ice hockey, to take the same route as Micah Sanford took to greatness from roller to ice. “I first played ice hockey at the age of 16,” said Adam. Rob Pallin put him on the top line with Jasek and Samuels on a club which took a riveting ride to league and regional championships, then to the U.S. Nationals. Adam was the first on the Mustangs to play junior hockey with Victoria in the BCHL. His first junior coach was Pete Zurbersky. Adam was joined by Jasek and Samuels the following season. The three were housed in the same home on Vancouver Island but only played together on a Victoria line one time in a pre-season game. From Victoria, Adam was a major force on a University of Fairbanks Alaska where he worked on the top line. One of his greatest games was scoring a game-winning goal in a playoff game against Ohio State. He skated just last week in NARCh Pro roller with Micah Sanford and Nick Robone on a Las Vegas Tour Rebels team in Huntington Beach. “I had fun playing in NARCh Pro but it was hard after taking so many years off from roller and jumping right into the pro division. I think I did all right but I was a little shaky,” he said. “I am going to miss the competitivess of great hockey,” he said. “It was always good being around my teammates. Adam is taking classes in real estate. He won’t leave the game totally. “You might see me in a men’s league game here in town.” He recently played golf with former Mustangs teammate Mike Sullivan. Adam also chatted with Justin Grossman, another teammate who was rough and played in an enforcer role for the Mustangs. Justin is now a referee here in town. Las Vegas – It’s not just Las Vegas applying to get a club into the National Hockey League. Reps from Seattle and Quebec City are also planning to send in applications for the 2017-18 season. Las Vegas – One of the great coaches of our time – Bliss Littler of the BCHL Wenatchee Wild – is in town with the Great Western Futures Camp at the SoBe Ice Arena on North Rancho Drive. Brendan Harris and Ryan Chiasson skated with coach Bliss with the Wild last season. Very few coaches prepare for big games better than Bliss. After two weeks and 589 roller games, the NARCh West Coast Nationals came to a close 3 pm Sunday at The Rinks in Huntington Beach. In the final game – Men’s Gold – the Wheelers beat the Beach City Spray Gold 5-4 in OT. Megan Myers of Las Vegas and the OC Blades won a NARCh gold medal in Women’s Platinium roller. Megan also won the sniper skills competition. It looks like some Las Vegas skaters will participate in the NARCh East Coast Nationals in July. Goal scorer Quinn Travis, one of our favorite players, was not in the main camp of the WSHL Las Vegas Storm over at the Las Vegas Ice Center last week. Quinn was one of the first Storm players signed a year ago. Coach Gabe Gauthier said Quinn is trying out for a club in the Philadelphia area. Hockey coach Rob Pallin of Las Vegas likes to watch high-level boxing. He was in Carson, California over the weekend to watch the Timothy Bradley vs Jessie ‘Pride of Las Vegas’ Vargas world title battle which had such a riveting finish. 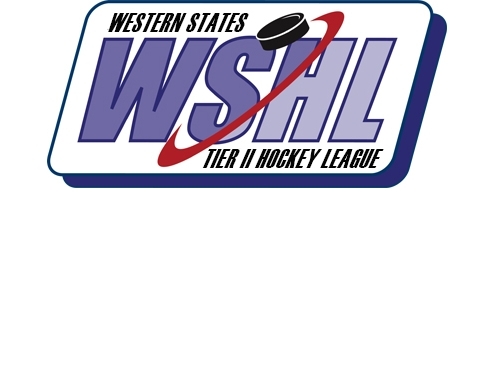 Las Vegas – Hometown goalie Gage Roberts is in the main camp of the WSHL Las Vegas Storm, as well as goalies Jaedon McConnell and Zane Branson at the Las Vegas Ice Center. Returning Storm players in camp include Jake McKenna and Richard Prekop of Las Vegas plus Nathan Fournier, Moritz Matzka and Trevin Morgan. Las Vegas – At the NHL meetings here yestersday, the league agreed to allow businessman Bill Foley to formally file paperwork for a Las Vegas NHL expansion team. This is a giant step closer for Foley, the founder of the new club, to get a franchise approved and ready to play in the 2017-18 season.